What do you call a man who is Thirty and still living with his mother? A BABY BOY! Nigerian Rap Icon and award-wining rapper Terry Tha Rapman is back with a bang like he never left! 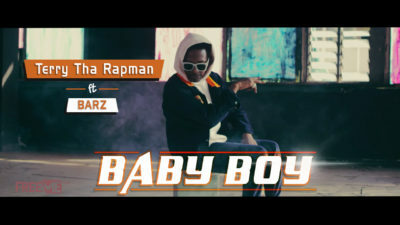 After being in the news for several other reasons, the timeless veteran releases the visuals to his newest hit single ‘Baby Boy’ on which his features ultra-wavy kid ‘Barz’.